The Duke report, released in March by the school’s Children’s Law Clinic, initially suggested the state’s voucher recipients were not performing as well as their public school peers, although the university later edited that portion, arguing instead that the state lacks sufficient data to draw that conclusion. The controversial school choice program, launched in 2014, is supported by advocates who say the program will provide competition for traditional schools and offer another K-12 option for low-income students. Yet critics, including the authors of the Duke report, say the program lacks sufficient accountability measures and diverts millions to primarily religious schools, some of which allegedly maintained anti-LGBTQ policies. One key sticking point in the debate: State law allows private school leaders to choose from multiple standardized tests to assess voucher students’ program, making “apples-to-apples” comparisons with public school students difficult. Also, state law orders private schools to report testing data to the state only if they enroll more than 25 students. Yet the vast majority of private schools fall below that threshold. Efforts to inject new accountability measures for the so-called Opportunity Scholarship Program did not survive House and Senate budget negotiations last month. But, as The News & Observer reported in May, a study led by researchers at N.C. State University aims to make comparisons using voucher students and public school students who volunteered to take a short version of a standardized test. 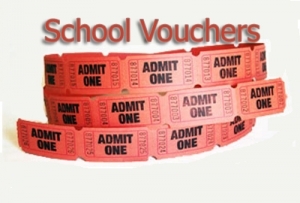 The group argued this week that most academic research indicates such voucher programs are beneficial to students, although critics note the results have been mixed or poor. Wettach also took issue with PEFNC’s curation of supporting research in its report, which suggested private school voucher programs nationwide have, by and large, been a boon to students’ growth. “I will completely stick to my position that, on the whole, the research does not support that voucher students make any significant gains,” she added. And if North Carolina wants to create fair comparisons of data on voucher students, the state will need to require one standardized test for voucher students, Wettach said, although she acknowledged that could be tricky given tests adhere to a standard course of study in public schools that are not required of North Carolina private schools. This week’s paper from PEFNC comes roughly two weeks after new data mark a rocky transition to private schools for voucher recipients in Louisiana and Indiana. Despite the controversy, state lawmakers plan to expand the voucher program by $10 million annually over the next decade. This year, the program is slated to take in almost $45 million in state funding.